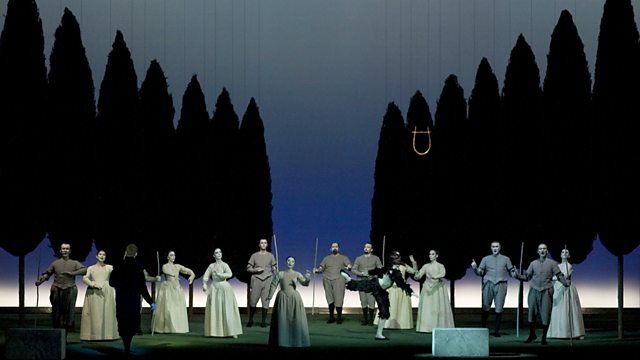 Penny Gore presents Monteverdi's seminal opera L'Orfeo, performed at La Scala Milan, with early music specialist Rinaldo Alessandrini conducting. Penny Gore presents Monteverdi's seminal opera L'Orfeo, recorded at La Scala Milan and conducted by early music specialist, Rinaldo Alessandrini. And the BBC Scottish SO play music infused with the spirit of dance.